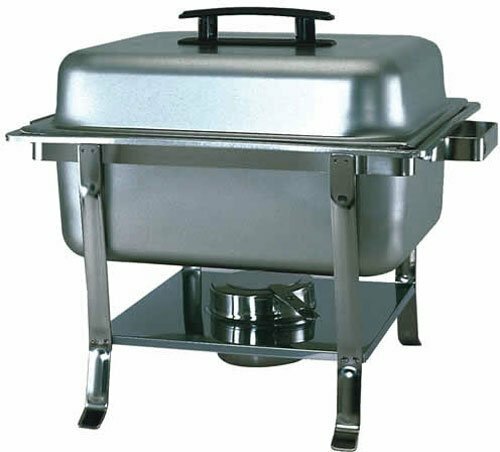 Cal-Mil 1612-12-55 Squared Stainless Steel Chafer Griddle - 12" x 12" x 7 1/2" ~ Chafing Dishes ~ Rika Jones - buy kitchen cookware with confidence! 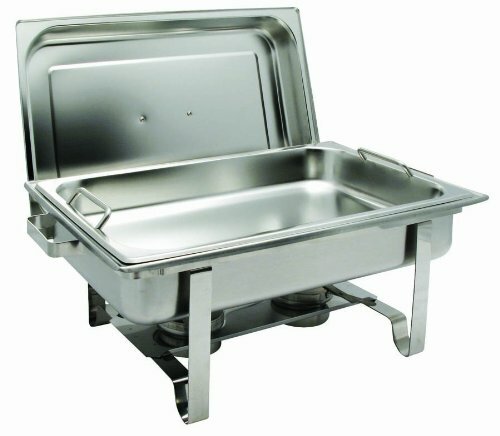 Cal-Mil 1612-12-55 Squared Stainless Steel Chafer Griddle - 12" x 12" x 7 1/2"
Heat, serve, and showcase your culinary arrangements with this Cal-Mil 1612-12-55 squared black chafer griddle. 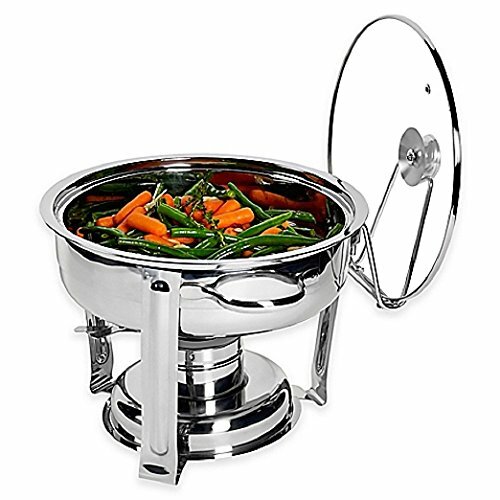 Its multi-functional, minimalist design makes this a versatile alternative to conventional chafers! 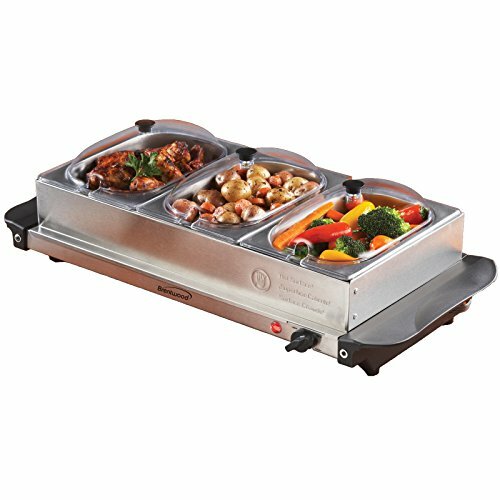 This chafer griddle not only keeps your food at the desired temperature, but also acts as your contemporary tabletop display. 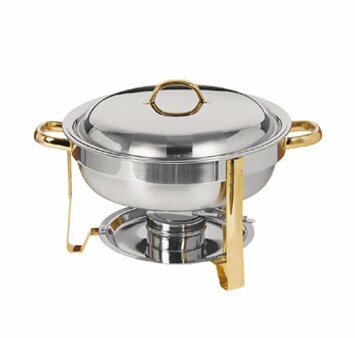 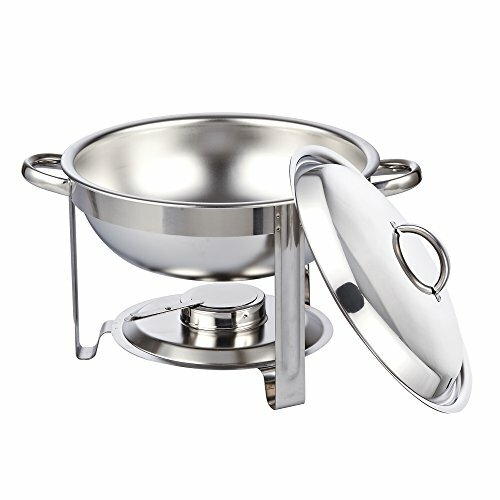 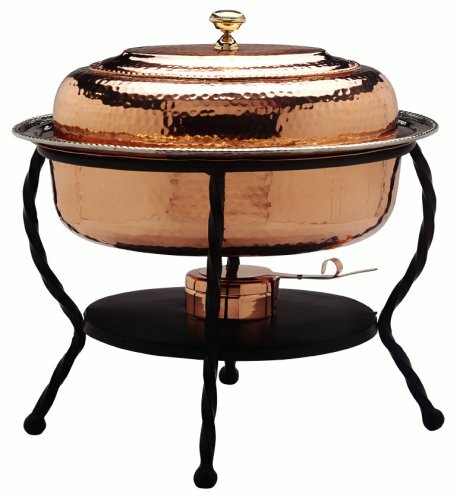 The sleek black base with geometric cut-outs and polished stainless steel top will only add to your eye-catching visual presentation.For stress-free use no matter your setting, this chafer comes complete with a built-in wind guard and two fuel can capacity, making it perfect for indoor or outdoor use. 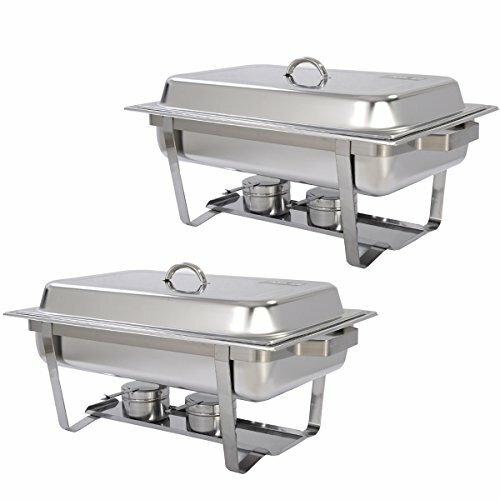 No more worrying about spilled or blown-out fuel at your outdoor venue! 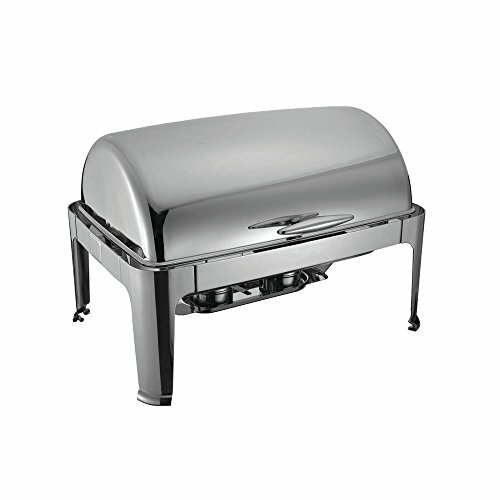 Plus, the stainless steel grill and stable four-wall construction provide optimal durability. 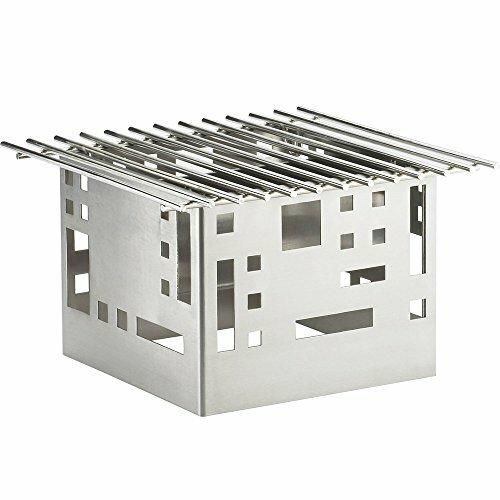 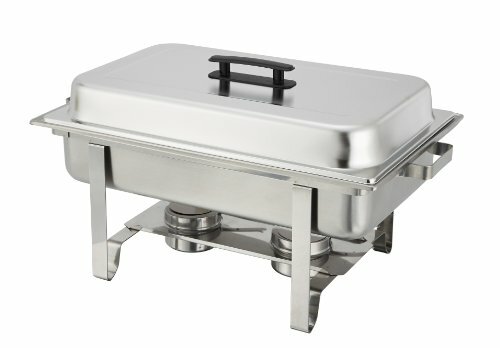 Whether you're using this griddle at a hotel, banquet, or catered event, simply place it on your guests' tables for a modern way to serve and display shared entrees and appetizers or line them up buffet-style to create a stylized serving station.Overall Dimensions:Length: 12"Width: 12"Height: 7 1/2"